As a parent, you know how important it is to facilitate the maintenance of your children’s dental health. 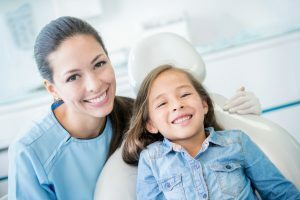 One of the better ways to accomplish that is by visiting your children’s dentist in Oklahoma City for regular cleanings and checkups, but this can cause anxiety for some kids. “How can this be overcome?” You wonder. Read on to learn 5 ways to make dental visits more enjoyable for your little ones. Children’s Dentist in Oklahoma City Recommends Mouthwash! When was the moment that you realized that your child may not be your little baby anymore? Did they assert their dominance in an argument for the first time? Did they ask you about wearing deodorant? Maybe you haven’t got there yet, but every parent has a moment where they realize that they have a real kid—not an infant anymore. 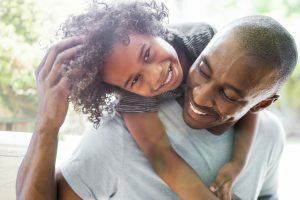 There are many things that you’ll want to teach your children about growing up and one of them should be how to properly maintain their teeth with more advanced dental products, like mouthwash. Learn more about when it’s the right time to introduce mouthwash to your child from your children’s dentist in Oklahoma City in this week’s blog post. Comments Off on Children’s Dentist in Oklahoma City Recommends Mouthwash! It can be difficult to help you children really grasp why it’s so important to take care of their teeth. Most of the time, it’s your sole responsibility to properly clean their teeth and gums until their about 8 years old because they simply don’t take their oral hygiene seriously and don’t have the fine motor skills developed to properly do so. If you’re having a hard time optimizing your child’s oral health, this post is for you. Your dentist in Oklahoma City is here to explain how to care for your little one’s smile the right way! If your child has been experiencing some tooth sensitivity, it may be due to a developing cavity. If this turns out to be the case, don’t be alarmed because although you may have encouraged the practice of excellent oral hygiene, you can’t always be around to monitor how well the tasks are performed, which is supported by a recent study that shows that 1 out of 5 children between the ages of 5 and 11 have untreated dental caries. 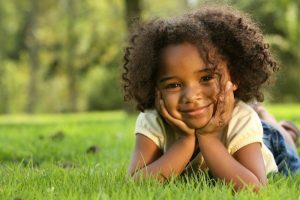 Thus, your children’s dentist will weigh in with some information on how to correct the problem with dental fillings, including how the procedure works and ways to maintain the health of your child’s teeth. Does the idea of going in for a dental visit leave you feeling anxious and stress you out? 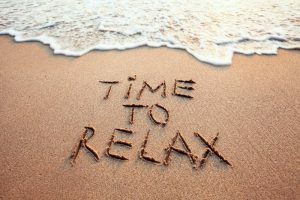 If so, you’re not alone, as 9 to 15% of Americans avoid seeing a dentist because of anxiety and fear, which amounts to roughly 30 to 40 million people. That means that there are a great deal of people who are susceptible to all types of dental maladies. But thankfully, you’re not left to just deal with your issue and miss out on the benefits of receiving oral care. As you continue reading, your sedation dentist will explain a viable method available to make your next dental visit an enjoyable experience. For years, you endured an imperfect smile, and then, one day you discovered a way to overcome your nemesis. 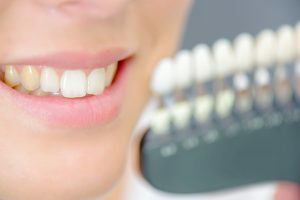 You spoke with your dentist about the type of smile that you desired, and he suggested that, based on your situation, and the time frame within which you wanted to see results, that porcelain veneers were the best option. 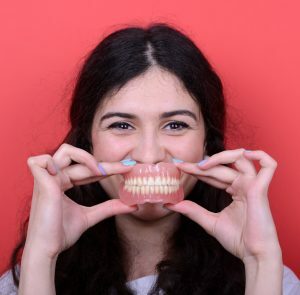 Since having the procedure done, you’ve regained your confidence, but recently, you’ve been bothered by the tooth discoloration you’ve noticed on your veneers. You’re wondering if you can whiten them like normal teeth, but you’re unsure. Thankfully, your dentist in Oklahoma City has some insight to share on the matter. As long as you’ve been alive you’ve wanted to be a news anchor for one of Oklahoma City’s television stations. But, you haven’t always been consistent with your dental care, so now as an adult, you’ve lost a few teeth. Your dentist in Oklahoma City has informed you of the option of dentures, but you think that is impossible because of your young age. Read further to learn more about dentures, and how they can help you. Your Little One’s Baby Teeth Need to Be Cared for Early On! When you think about one of the most precious moments that anyone can cherish, it’s when your child looks up and smiles at you. From the moment they’re born and you have an affinity for their gummy smile. As their teeth develop, you love to snap pictures of your little one. Their teeth aren’t just for snapping photos for your friend and family to see, they need to be taken care of. Baby teeth are actually the placeholders for their adult smile. Learn more about how to properly care for your child’s smile from the time they’re infants to when they can hold their own toothbrush! Comments Off on Your Little One’s Baby Teeth Need to Be Cared for Early On! Learn Why Kids Need to Meet Their Children’s Dentist Early On! As a parent, your child’s health is in your hands—that goes for dental health as well. One of the best things that you can do for your little one’s smile is to make sure they visit the dentist regularly. It’s your responsibility to make sure that they have strong, healthy teeth and your children’s dentist in Oklahoma City can help you do that. If you’re concerned about the best ways to take care of your children’s teeth, you’re looking in the right place! The first steps start at home, making your children comfortable with the idea of dentistry and visiting the dentist. Comments Off on Learn Why Kids Need to Meet Their Children’s Dentist Early On!